HEVEA (5095) is forming ascending triangle pattern. Will it breakout the resistance? Subsequent support @ lower triangle level. 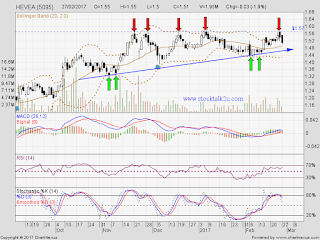 Immediate resistance @ RM1.57 level. Subsequent resistance @ RM1.63 level. 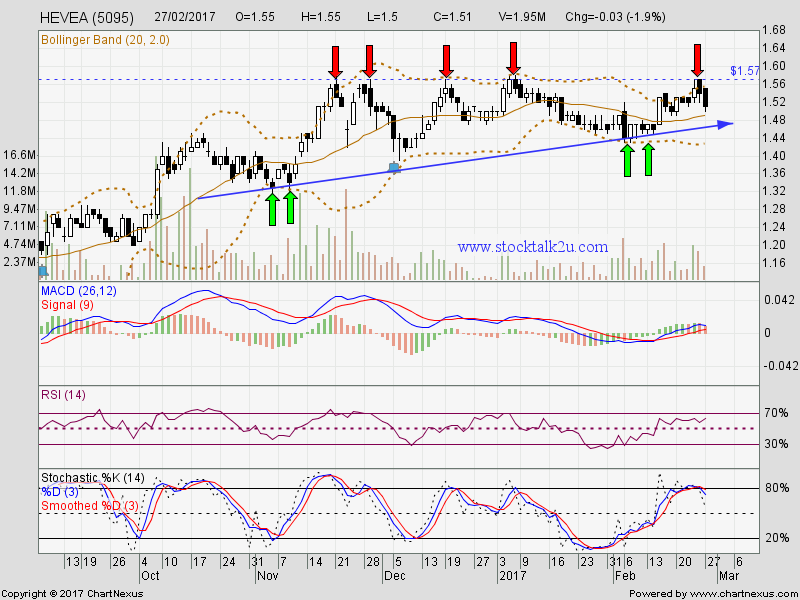 If able breakout RM1.57, higher high is confirm. Uptrend will resume.